Hello friends and happy Sunday! I have a gorgeous card to show you today! It’s much more simpler than it looks, plus I used a stamp set that can be earned FREE as part of the Sale-a-Bration promotion too! Sale-a-bration is a three month promotion and it’s an awesome time to shop Stampin’ Up!, as well as join the Stampin’ Up! family of demonstrators. Here are all the details! 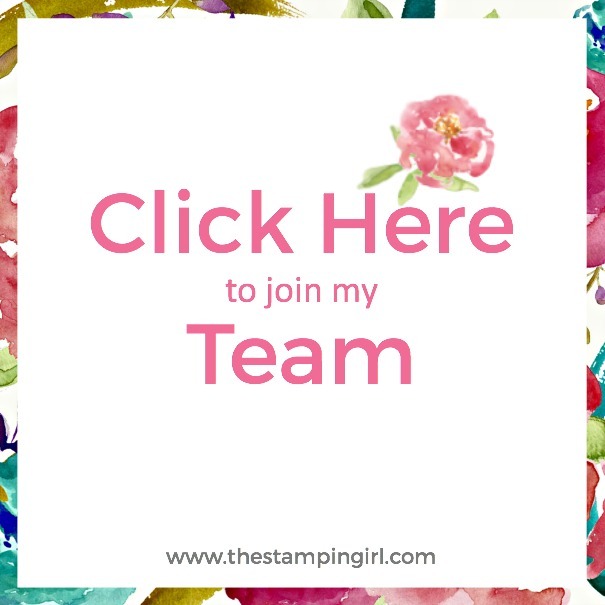 If you’ve ever thought about joining the Stampin’ Up! family, now is the BEST time to join so you can take advantage of the amazing Sale-A-Bration promotion for brand new Demonstrators. On top of building your own kit, you get to pick TWO FREE stamp sets! Regular in-person and online meetings. Business training and coaching if you wish. Exclusive online Facebook group connecting you to team members all over Canada. Earn up to 40% commission on all personal purchases and customer sales. OK, so now onto this gorgeous card! I created a new tutorial to show you how easy it is to make a sweet watercolour burst card. I hope you love it! Don’t forget to stop by my Canadian Online Stampin’ Up! Shop to order the supplies for today’s card. With the stunning stamp set I used being available for FREE, it’s a great time to shop! Thank you so much for stopping by and shopping with me! But first, let me tell you some EXCITING news! I am officially a YouTuber! I am so excited about creating my own YouTube channel and it just so happens that I have published my first official YouTube video with today’s project! So onto today’s project, which is this really pretty Valentine’s Day Treat Holder! Seriously, how cute is this?! And it’s not just for treats either! You can fit gift cards, two tea bags, fruit snacks, and more. It’s also perfect for ANY occasion. For this treat holder, I used our new Sure Do Love You Bundle from the 2018 Occasions Catalogue (which also got me a FREE Sale-a-Bration stamp set since the bundle is just over $60.00)! The Sure Do Love You Bundle is part of the Painted with Love Product Suite which includes the gorgeous Painted with Love Specialty Designer Series Paper that I used for the treat holder. I think the paper is my favourite product in the suite because it’s SO beautiful and so versatile (think Valentines, wedding, birthdays, etc.). The entire suite pairs beautifully with the Gold Stampin’ Emboss Powder that I used for the banner on the treat holder too! I really hope you loved today’s project! 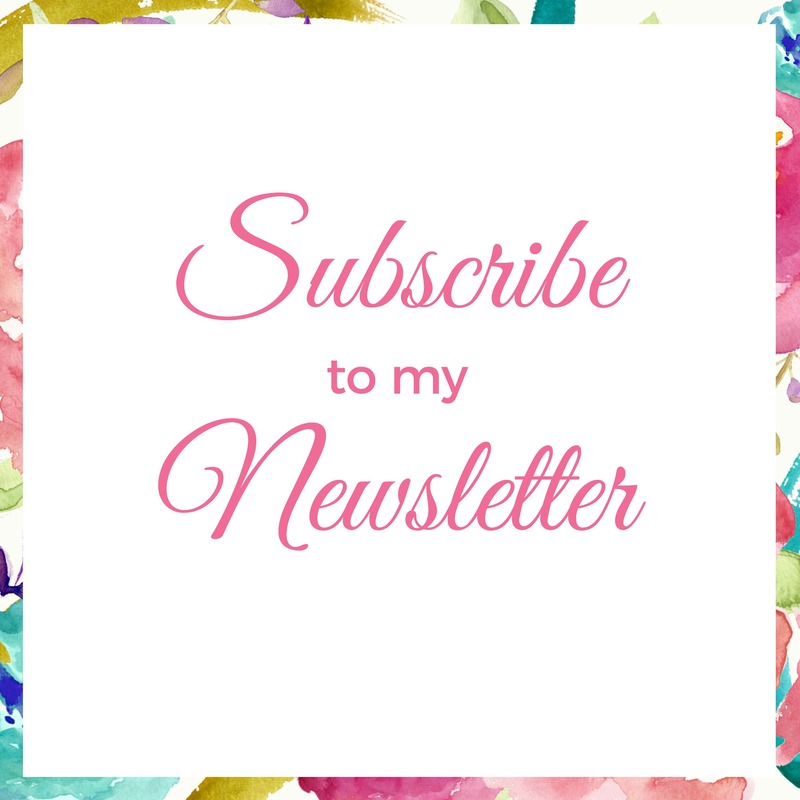 Be sure to subscribe to my newsletter so you can stay updated on all things Stampin’ Girl! If you don’t already have a Demonstrator, I’d love for you to shop with me! Those that order $50 or more using the current hostess code in my Canadian Online Stampin’ Up! Shop earn six monthly Project Guides and more, when you use the Hostess Code below. I truly appreciate you shopping with me! Thank you so much for visiting today. Be sure to subscribe to my blog on the right side of this page so you can stay up to date on projects, classes, and more. Hello Friends! I have a super cute card to share with you today! It’s featuring the CUTEST set from the new Sale-A-Bration Brochure – the Party Pandas! Seriously, these little guys are so adorable I know you will love them. Also featured on this card is a favourite of mine from the Annual Catalogue, the Birthday Delivery Bundle. So cute, right?! I made this card on Saturday afternoon when I went live on my Stampin’ Girl Facebook Page, but I also uploaded the video to my brand-new YouTube Channel (please subscribe)! I’ll post more on YouTube later, but be sure to ‘like’ my Facebook Page so you never miss a live video! As mentioned in this video, you can shop the Birthday Delivery Bundle and then choose the Party Panda Stamp Set as your Sale-A-Bration Reward! Do you shop online with me? Those that order $50 or more using the current hostess code in my Canadian Online Stampin’ Up! Shop earn six monthly Project Guides and more, when you use the Hostess Code below. I truly appreciate you shopping with me! Hi Friends! I hope you’re having an amazing week so far! I’ve been busy this week; both at work and at play, but I am happy to bring you a card featuring the new Truly Tailored Stamp Set from the Occasions Catalogue that went live on January 3rd! Seriously, have you seen the catalogue yet? It has so many amazing new items, I can hardly handle it! If you’re joining me from the Global Stamping Friends Blog Hop, thank you for stopping by! I know you’ve already seen some amazing projects, so thanks for sticking around! If you’re here just because you enjoy my blog (thanks a million! ), be sure to check out the other amazing projects by checking out the list below! From the moment I opened the Occasions Catalogue, the True Gentlemen Suite instantly caught my eye. I’m not sure if was the colours (my fave colours are blue/turquoise), or if it’s because masculine cards are what I struggle with most, but this set really has it all for me. Plus, I thought that this suite would make the masculine cards come a bit easier for me. And let me tell you, this suite has helped so much! I decided to go with something a bit more simple this time, but this suite really allows you to get creative with the sentiments and embellishments. The colour, sentiments; everything about this set just speaks to me and has so much to offer. I think aside from the Truly Tailored Stamp Set itself, the True Gentlemen Designer Series Paper may be one of my most favourite Designer Series Paper that Stampin’ Up! has ever had. I say this because of it’s level of details, it’s classiness, and I think it can appeal to both kids and adults alike. Just think of the gift packaging you can create with it too! If you like this suite as much as I do, but are not too sure what to get, I’ve put together this little bundle for you to give you a hand. It’s an easy way to earn a FREE Sale-A-Bration item! Thank you once again for supporting my small business. Remember to use this month’s Hostess Code (ZCT7NK76) at checkout so you can earn even more rewards! Thank you so much for stopping by! Be sure to click on the ‘Next’ button below to see the next amazing project and to follow along in the blog hop. You can full the full list of participants below and all you have to do is click on their name to see their beautiful creations. The NEW 2018 Occasions Catalogue is LIVE & It’s Sale-A-Bration Time! Stampin’ Up! is having its biggest sale of the year; that is Sale-A-Bration! Starting January 3 and running through to March 31, you have the opportunity to earn FREE Product! Today also marks the start of the ALL NEW Occasions Catalogue! Sale-A-Bration is an amazing time to shop Stampin’ Up! because when you do, you earn a FREE level 1 product from the Sale-A-Bration Brochure for every $60 you spend (before taxes and shipping). However, if you spend $120 (before taxes and shipping), you earn a FREE level 2 item from the Sale-A-Bration Brochure. 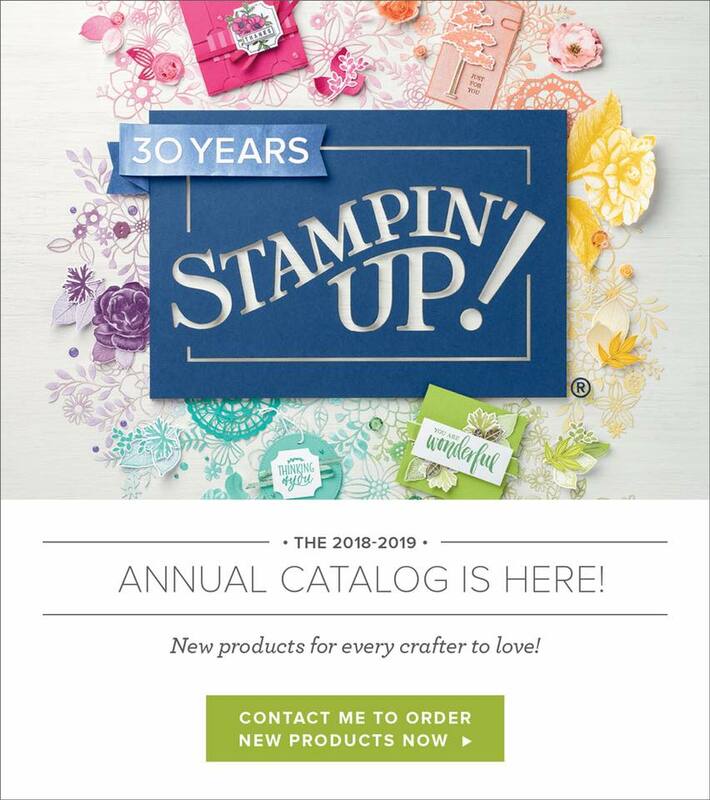 It’s also a fantastic time to join the Stampin’ Up! family! Sale-A-Bration is also the perfect time to join the Stampin’ Up! family. When you purchase the Starter Kit for $135, you get to build your own kit with $165 in product of your choosing, PLUS you get two choose TWO additional stamps sets of your choice from the Annual or Occasions Catalogues! The best part for me about joining Stampin’ Up! is that your part of a community. A community that creates, supports, and shares. It’s fun, encouraging, and most of all, you get to surround yourself with like-minded, creative people just like you. My team is growing and I’d love for you to join me! You can view all about becoming a Demonstrator HERE. If you’re ready to dive right in, go HERE and click JOIN NOW to get started. Still have some unanswered questions? I’d love to chat! Call or email me any time! See the Occasions Catalogue HERE. View the Sale-A-Bration Brochure HERE. Be sure to add in the Hostess Code (ZCT7NK76) before you check out in order two receive my new Stampin’ Girl Rewards! Thank you so much for stopping by today and for supporting my small business. I wouldn’t be able to have my dream job without your support.